Action Brothers Insulation has 15 years of experience in providing Atlanta’s property owners with the highest quality insulation installation services. We understand the specific needs of living in a humid environment like Atlanta and offer the best services and products to achieve your energy-efficiency goals. Blown-in insulation is one of three methods we have perfected for the Atlanta area because of its durability, long-term efficacy and moisture resistance. Our professional insulation contractors will equip your property with effective, properly installed insulation as our technicians adhere to all relevant building codes in order to yield lasting results. At Action Brothers Insulation of Atlanta, our professional contractors have studied and evaluated the best materials to use for blown-in insulation. We specialize in cellulose and fiberglass insulation, two equally efficient blown-in wall insulation materials we’ve chosen in order to offer you the best fit for your specific needs. Cellulose insulation is a dense substance that is able to conform to the shape and size of enclosed walls as well as wires and ducts. It is partially composed of recycled paper, making it a more sustainable option for Atlanta’s environmentally conscious homeowners. Fiberglass insulation is a fine-spun blend of non-combustible glass that possesses the ability to resist humidity and mold for long-term energy saving benefits. We understand the complexities of blown-in wall insulation and what it takes to achieve the correct thickness, density and heat as well as moisture resistance for premium efficiency. 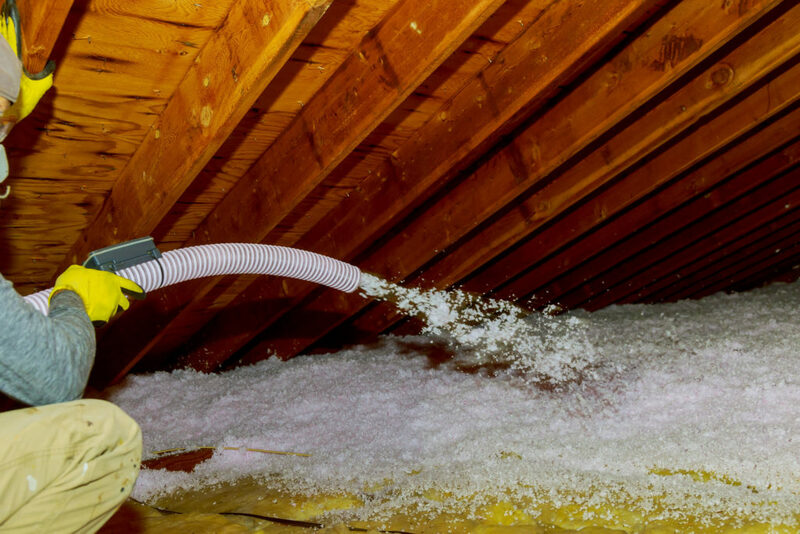 Typically installed by blowing or spraying insulation products into wall cavities with special equipment, hiring an experienced team like Atlanta’s Action Brothers Insulation will ensure you get the right results the first time. Blown-in wall insulation is the perfect method for new or existing wall cavities, hard-to-reach areas and unfinished attic floors. We use cellulose or fiberglass insulation for all our blown-in wall insulation projects because optimal coverage and noise-cancelling benefits as well and minimal settling properties over time. Our professional technicians will promptly arrive at your Atlanta residence or commercial property with all the necessary equipment to ensure the job is done effectively in a timely manner. We operate high powered hoses to direct the blown-in wall insulation into even the smallest cracks and crevices of Atlanta properties, employing the latest techniques to ensure maximum thickness at a minimum weight per square foot of each project.